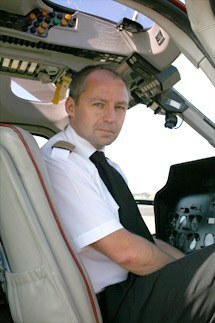 Mike Burns, Chief Executive and pilot at Atlas Helicopters, who have been experiencing business growth despite the economic conditions, said, “We are delighted that our helicopter charter service is going from strength to strength, but it just goes to show that there is much demand for this type of travel, especially for businesses.” With business owners having to travel further and more often to secure that all important deal, helicopter charter and helicopter hire is becoming an essential travel option. Recently, journeys from Central London to both Rotterdam and Amsterdam have been completed, getting clients to their respective meetings much more expeditiously than conventional means. 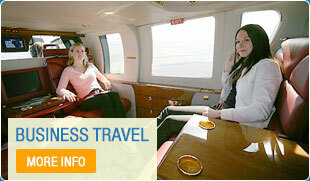 With congested roads, the ever-rising cost of commercial flights and unreliable rail networks, helicopter charter has not only bucked the national trend by flying through the credit crunch unscathed but it has also shown that in 2011, the business traveller is looking for something extra. Not only does helicopter travel remove the stress of airports, traffic jams and public transport, it also diminishes the need for time away from home and the cost of overnight accommodation. Cruising at speeds of 120 knots and a maximum range of 400 miles,helicopter charter can allow you to make multiple visits in one day and still have you back in time to make a dinner date that very evening. Mr Burns added, “There is often a misconception that helicopter flights are extremely expensive, but many are realising that this is not the case at all. This may be a reason why we have experienced such a demand. By the time businesses factor in lost man hours wasted on protracted road and rail journeys, and the added stress this inevitably leads to, helicopter travel is proving a cost-effective and worthwhile transport alternative. Captain Burns added, “At Atlas, we now have a fleet of four AS355 Twin Squirrel’s and one Bell 206L LongRanger, but expanding may soon be on cards which is an exciting prospect, giving us greater scope to ever improve our services to our loyal client base. Launched in 2008, Atlas has also developed a new approach to helicopter charter and helicopter hire with a unique scheme designed to give frequent flyers guaranteed availability. The Atlas Advantage programme blocks out flying hours for card holders, giving businesses and their executives the convenience of having a helicopter on standby without the associated costs of physically owning a helicopter. This has proved incredibly popular amongst the business community when those all important short notice requirements arise!